At the end of an interview, your interviewer might set aside time so you can ask questions. This could be a real deer in the headlights scenario though. Weren’t they supposed to be asking the questions? That’s their job, not yours. This is a great opportunity for you to set yourself apart from everyone else though. We picked some key questions that you can ask at the end of the interview. 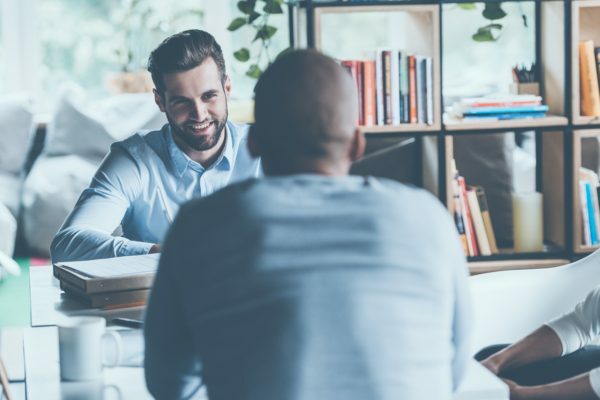 These questions will help you connect more with the interviewer, and make them remember you when reviewing candidates for the position. This immediately sets the tone that you want to succeed. You demonstrate that you want to learn how to excel in the position, by learning from what others have done. The interviewer’s response can also give you key insight into what the company values. Learning the company’s metrics for success will set you up to succeed in the future. By asking the interviewer about their own work, you create a personal connection with them. It gives you a more candid look into the company, but will also help the interviewer remember you. Show the interviewer that you’re focused on the needs of the company. By emphasizing what the company needs, you can pivot that towards why you fit those needs. If the company is looking for someone with a certain type of experience, show why you have it, or if you don’t, why your experience is even more valuable. A candidate that shows consideration for the company stands out. This question goes beyond the position and demonstrates interest in the company. You aren’t looking for a job, you want to work for this company. You want to grow with the company. Getting ready for an interview? Take a look at our article on the most commonly asked interview questions here.